Alibag is a small town located in the Konkan region of Maharashtra. Often considered as a weekend getaway for the tourists, Alibag is equipped with few of the most beautiful picnic spots of Maharashtra. The town is named after a wealthy Israeli who owned several fruit orchards here, hence the name Ali’s Bag (garden) or Alibag. Historical forts, continuous web of beaches, untouched aquatic life and lush green gardens are some of the most attractive features of this town. Alibag has developed itself as a major trade centre in the past few years and thus a significant number of businessmen visit this city on a regular basis. This town is often regarded as the island town of Maharashtra as it beautifully meets the waters of Arabian Sea on three of its sides. If you are a planning a visit to this natural haven called Alibag, here are some of the top places that you should visit on your trip. Alibag beach is situated at a distance of just 1 km from the main town of Alibag and is one of the most visited places of this town. 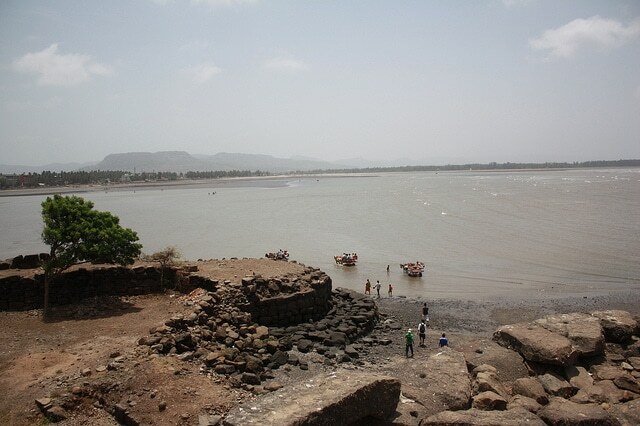 The beauty of this beach gets enhanced by the presence of Kolaba Fort which is situated in the midst of sea water. Alibag beach is a highly crowded place and remains filled with delicious street food joints all around it. Often considered as a picnic spot for couples, this place also offers various water sports for adventure lovers. 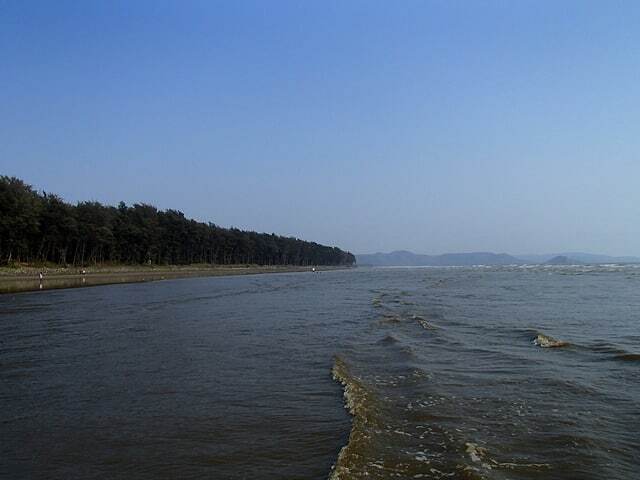 Alibagh beach is counted among the pollution-free zones of the town and is a must visit for beach lovers. Nagaon beach is situated at a distance of 8 km from the town of Alibag and can be safely described as a heaven for those who love a peaceful environment. Among all the beaches of Alibag, Nagaon beach is the most untouched one. This beach is known for its cleanliness and is beautifully surrounded by a thick network of coconut and palm trees. Cheap food, serenely calm surroundings and water sport activities are some of the important reasons that attract tourists to this place. The beach offers adventurous activities like paragliding, banana ride and water scooter. Kanakeshwar forest is an intensely dense forest and is one of the untouched places in Alibag. This forest is an evergreen forest and houses some of the most dangerous species of reptiles and mammals. Among the major species that are found here, snakes, panthers, mountain lizards and wild boars are the important ones. If you are a wildlife enthusiast, Kanakeshwar forest will serve as a dream destination for you. This place is situated at a height of around 300 m and also houses a small Shiva temple at its top. 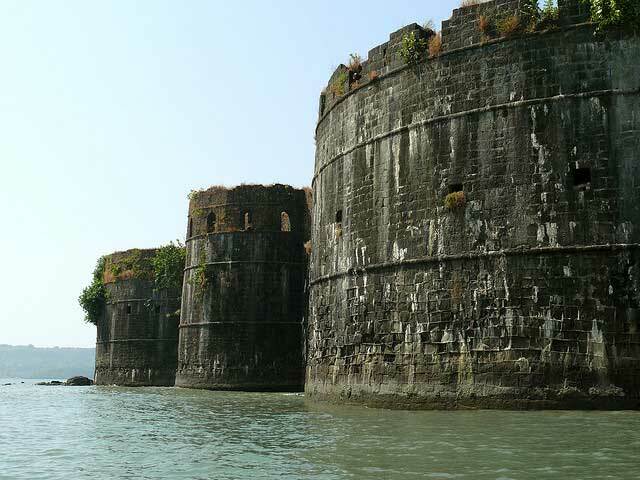 Janjira Fort is beautifully situated in the midst of the Arabian Sea and can only be reached through boats which can be easily hired from the sea port. This fort is an absolute treat for the eyes as it is artistically marked with ancient Mughal architecture. A huge pillared gate, ancient mosques, sculptured walls and traces of Hindu temples are few of the most important features of this fort. Janjir fort also houses some significant traces of war including weapons like cannons and guns. On your visit to this fort, make sure to hire a guide as it will enhance your experience of this historical place. Kanakeshwar Temple is situated at a distance of 14 km from the town of Alibag and is a major centre of Hindu faith in this town. The way to this temple leads through some decently built stairs as it is situated at a height of around 5500 feet above the sea level. Kanakeshwar Temple is also known for its architectural brilliance as it houses some magnificent marble pillars and sculptures walls. Major attractions of this place include a pond of divine water, 5 feet long ‘Shivaling’ of Lord Shiva and various small temples dedicated to Hindu deities. Alibag is a true wonderland as it gives an overall experience to the visitors. From lakes to oceans, from temples to forts and from forests to beaches, this town is tailor made for those who love travelling. If you are planning to visit this town, make sure to include the above mentioned places in your list as they will give you an unmatchable experience of Alibag. Alibag is quite developed now. The images that you have displayed are too old. I request the website team to change those images. Now Alibag beach is well managed and another facilities like boating, surfing in water, water scooter is also available on some beaches of Aliabg Like Main Beach, Varsoli Beach, Kihim Beach. As Gate way is so near from Mandwa jetty this is becoming Saturday Sunday picnic spot. Because of Catamaran services like PNP, AJANTA, MALDAR Mumbai is on the distance of 55min to 1:15 hr.